When it comes to business success, Bill Gates is in a league of his own. A Harvard dropout, Bill Gates (and his partner Paul Allen) built the mega-corporation Microsoft that helped take personal, business, and industrial computing to the masses. Microsoft, currently run by CEO Satya Nadella, is still one of the most influential companies in the industry and a major global player because of the base that Bill Gates built. Bill Gates also still remains one of the wealthiest people in the world even with his massive charitable donations. 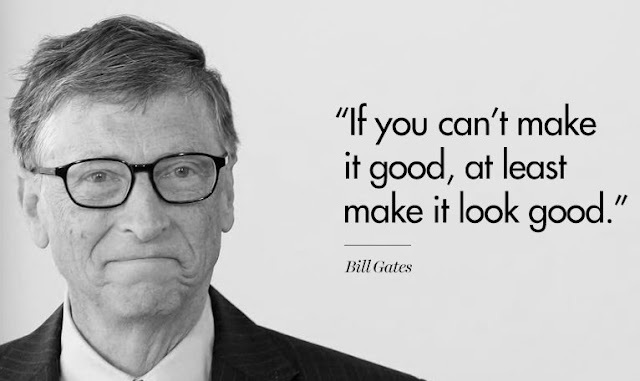 While Bill Gates may not be as quotable (or charismatic) as his former competitor Steve Jobs, he obviously has plenty of wisdom to bestow upon us mere mortals. Just imagine where Microsoft might be now if Bill Gates decided to make it his main priority instead of philanthropy over the past 15 years... but that's another story. 1) "I believe that if you show people the problems and show them the solutions they will be moved to act." 2) "Information technology and business are becoming inextricably woven. I don't think anyone can talk meaningfully about one without the talking about the other." 3) "I choose a lazy person to do a hard job, because a lazy person will find an easy way to do it." 4) "If you can't make it good, at least make it look good." 5) "If GM had kept up with technology like the computer industry has, we'd all be driving $25 cars that got 1,000 MPG." 6) "Your most unhappy customers are your greatest source of learning." 7) "As we look ahead into the next century, leaders will be those who empower others." 8) "Most people overestimate what they can do in one year and underestimate what they can do in ten years." "Life is not fair, get used to it." 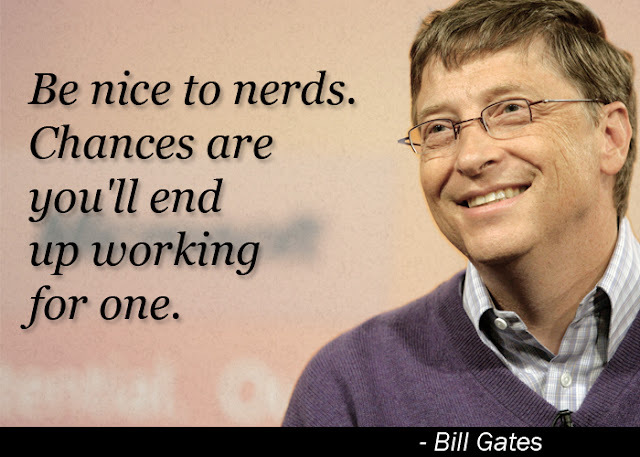 Thanks Bill Gates for the quotable advice! And remember everyone: "Be nice to nerds, chances are you'll end up working for one". Might be my favorite quote of Bill Gates, although there is dispute that he actually said those words. I can certainly relate to all of those business quotes by Bill Gates! I hope at least some of the quotes from Bill Gates can inspire you to succeed in all of your business endeavors! Bill Gates is one of the greatest examples of a driven and successful college dropout that has literally changed the world that we live in today. He paved the way for other successful dropouts like Mark Zuckerberg. 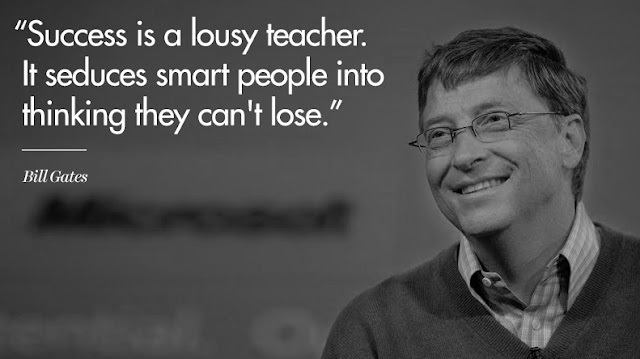 I hope you enjoyed these Bill Gates business quotes. Enjoy Some Steve Jobs Quotes while you're here for more tech talk! 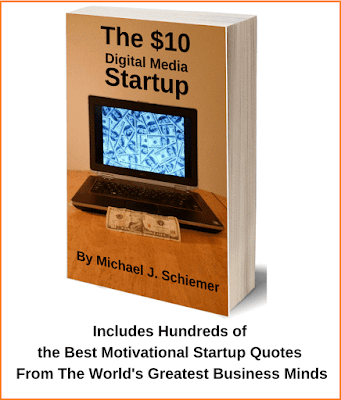 Want more business quotes from computer industry experts?